Company MWS Consulting was established at the begging of 2016 in Warsaw, Poland. It’s founder and owner is Marek Szczepański, Ph.D.
Marek is experienced manager and advisor. His main area of expertise is programming and implementation of public policies in the fields of regional and local development, entrepreneurship, SME support, labour market, urban revitalization and development. He graduated from the Faculty of Law and Administration at the University of Warsaw and MBA studies at the International Management School in Warsaw. Marek obtained PhD degree in management at Kozminski University in Warsaw. Marek has over 20 years of professional experience including over 17 years in the positions associated with the EU funds programming and distribution. 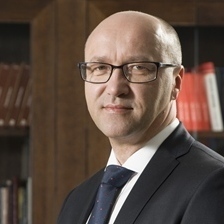 He is one of the most experienced experts in EU funds in Poland, specialising in financial instruments. Before starting own business Marek was Deputy CEO at Agencja Rozwoju Przemysłu S.A. (Industrial Development Agency JSC – the state-owned development company). In years 2009-2015 he worked as Managing Director in Bank Gospodarstwa Krajowego (the state-owned development bank), responsible for implementation of projects co-financed by EU funds under 2007-2013 programming period with total value of approx. EUR 1bn. In years 2007-2009 Marek was CEO at PSDB Ltd., a consulting company specializing in advisory services, evaluations and trainings in EU funds’ area. In years 2003-2005 he was the Undersecretary of State in the Ministry of Economy and Labour. He was responsible for supervision of several EU operational programmes 2004-2006, labour policy and tourism policy. He also worked in the Ministry of Labour and Social Policy and the Polish Agency for Enterprise Development as director of units responsible for EU funds. Marek is experienced trainer and lecturer in the area of EU funds. Expert in the project “Setting up of a National Development Bank of Romania“ (implemented by PricewaterhouseCoopers under European Commission Structural Reform Support Service). Project’s objective was to create a detailed and evidence-based foundations for creation of development bank (March. – Nov. 2018). Main expert in the update of ex-ante assessment for financial instruments in ‘Rural Development Programme 2014-2020” conducted by PwC for European Investment Bank and the Polish Ministry for Agriculture and Rural Development (March. – Sept. 2018). Since June 2018 - Member of the Investment Board for financial instruments in Lubuskie Region: group of experts advising Managing Authority of Regional Operational Programme 2014-2020. - “How to Implement Compliant Financial Instruments in 2014-2020 and Beyond” (March 2019, Nice). Merit coordinator, speaker and moderator at several trainings on EU financial instruments, organized in Warsaw by J.W.Consulting http://www.jwconsulting.pl/ . Topics covered during the trainings (organised since 2016) included inter-alia: set-up of financial instruments, update of ex-ante assessment and investment strategy, selection of financial intermediaries, control and audit.